Artists from "Five degrees of separation" lead a walkabout of the exhibition on Thursday 10 May 2018. The Tatham Art Gallery was thrilled to host Prof Federico Freschi in two presentations at the Gallery. Prof Freschi is Executive Dean: Faculty of Art, Design & Architecture at the University of Johannesburg and was the South African curator of the recent Matisse Exhibition at the Standard Bank Gallery. Johannesburg. On Friday 1 September 2017 Prof Ian Calder presented an illustrated talk and walkabout on Rorke’s Drift Ceramics. A well-known craft centre was established there by Scandinavian missionaries and teachers in the 1960s, The ceramics studio became well-known for its unique fusion of African and Western styles and techniques. Tickets are R150 including refreshments. 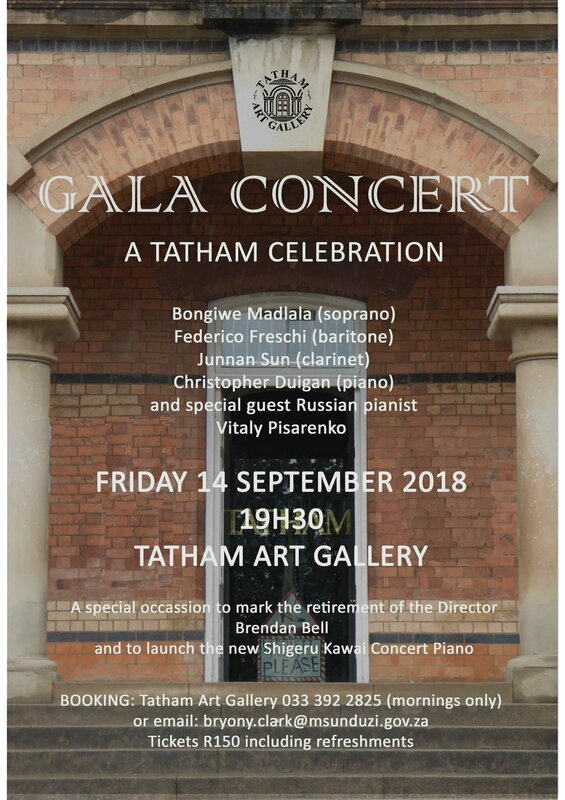 The Tatham Art Gallery, Friends of the Tatham Art Gallery in association with Music Revival present a series of four piano-focussed concerts to celebrate the arrival and installation of a new Shigeru Kawai grand piano. 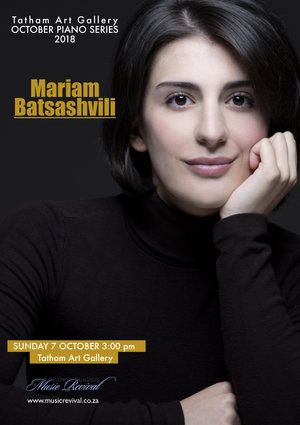 The concert will take place every Sunday in October 2018 ay 3:00 pm. There is secure, guarded parking available on Sunday’s in the legislature parking adjacent ( on the left side) of the gallery. Make a day of it and enjoy coffee or lunch at Cafe Tatham open from 10 am and for lunch. Booking for lunch is essential - Call Cafe Tatham 033 342 8327. 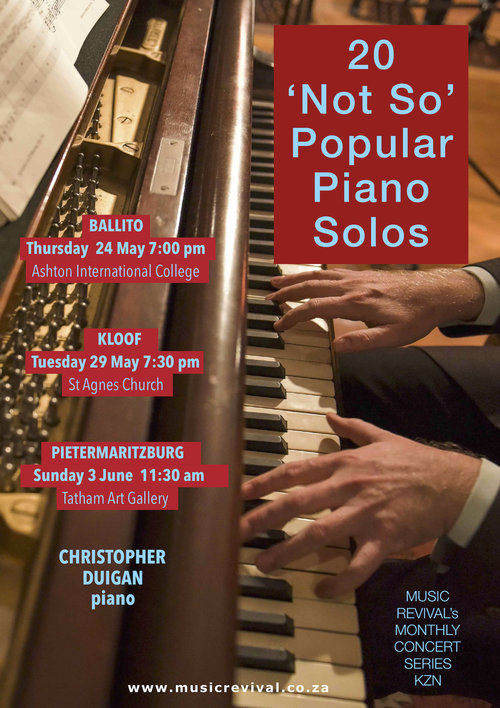 MUSIC REVIVAL in association with the FRIENDS OF THE TATHAM ART GALLERY and FRIENDS OF MUSIC presents the internationally acclaimed American pianist Spencer Myer in KZN in June 2018. 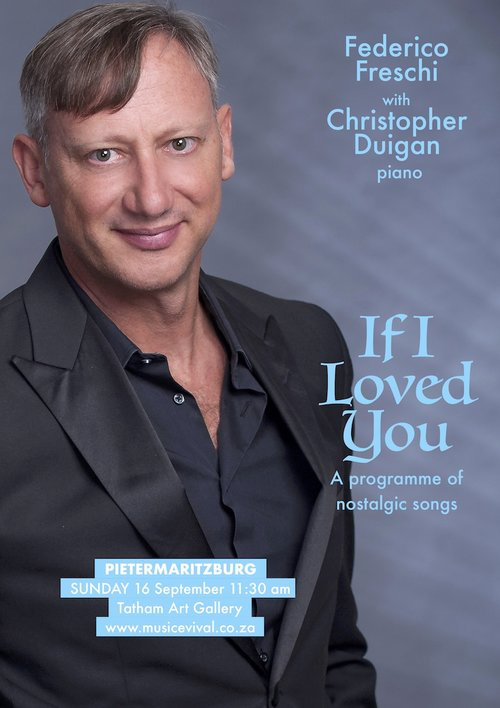 Winner of the UNISA International Piano Competition in 2004 Myer has since been a a regular visitor to South Africa. Recent highlights include recitals in Wigmore Hall London. These concerts form part of a concert tour of Sou Africa. His programme consists of music FJ Haydn and the dazzling Fours Scherzi op 23, 31, 39 and 54 by Frederic Chopin. Do not miss this unique event to hear a truly world class artist in concert. Gold Medalist of the 2008 New Orleans International Piano Competition, SPENCER MYER has been soloist with The Cleveland Orchestra, the Indianapolis Symphony, the Johannesburg Philharmonic, and Beijing’s China National Symphony Orchestra. 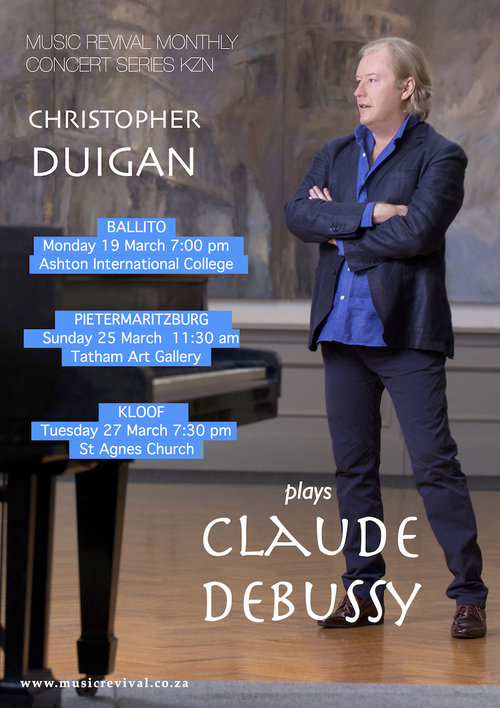 His 2005 tour of South Africa included a performance of the five piano concerti of Beethoven with the Chamber Orchestra of South Africa. In 2014 he made his second solo recital appearance at London’s Wigmore Hall. 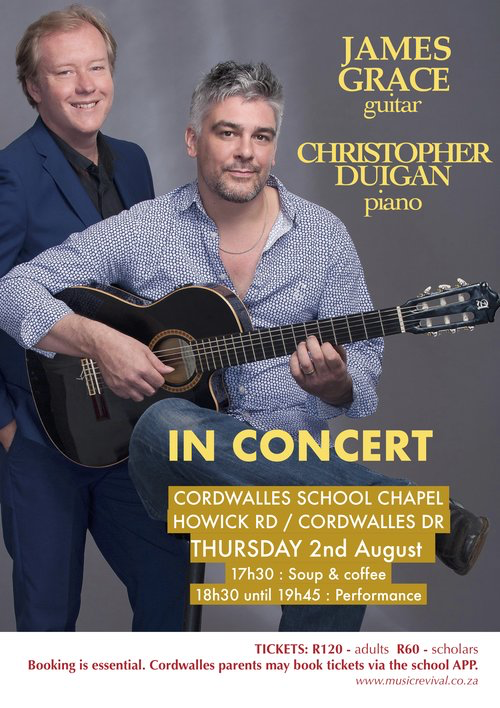 In 2004, he captured First Prize in the 10th UNISA International Piano Competition in South Africa and won the American Pianists Association’s 2006 Christel DeHaan Classical Fellowship. 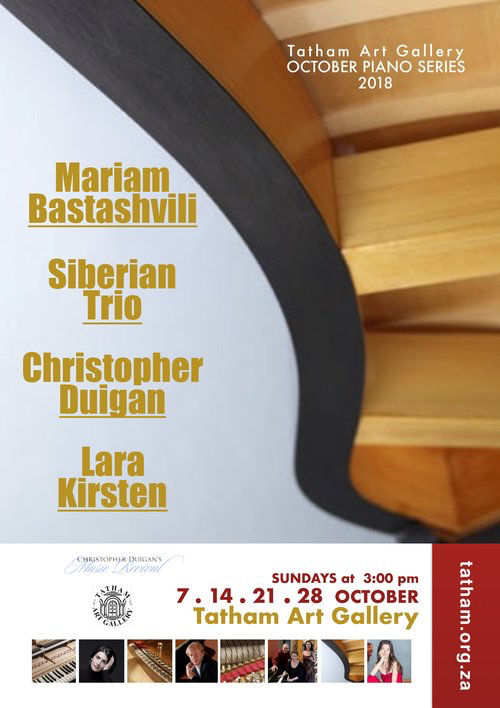 An avid chamber musician, he has collaborated with cellists Lynn Harrell and Ralph Kirshbaum, clarinetist David Shifrin and soprano Nicole Cabell. He is a graduate of the Oberlin Conservatory, The Juilliard School, and Stony Brook University, and is currently Artist-Teacher of Piano and Collaborative Piano at Boston’s Longy School of Music of Bard College. His latest CDs — Piano Rags of William Bolcom and the two Brahms Cello Sonatas with Brian Thornton — were released in 2017 on the Steinway & Sons label. 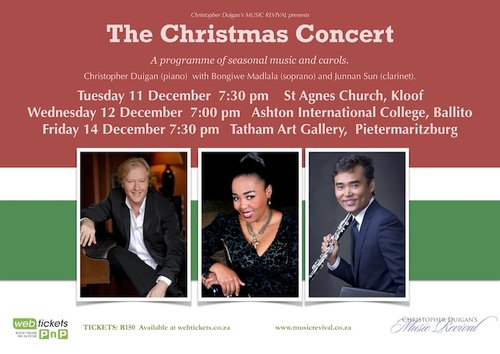 Presented in KZN in association with the Friends of Music, Durban. James is a KANNA Award winner for Best Male Artist at the 2010 ABSA KKNK, and more recently KykNET Fiesta winner, he is one of one South Africa’s leading concert artists. The Classical Guitar Magazine has described Morgan as a 'player destined for future glories' and has been highlighted as "'one to watch by both Gramophone Magazine and the BBC Music Magazine.